Doerr is running for the District 4 seat, covering Northwest Seattle, currently occupied by Councilmember Jeanne Kohl-Welles. 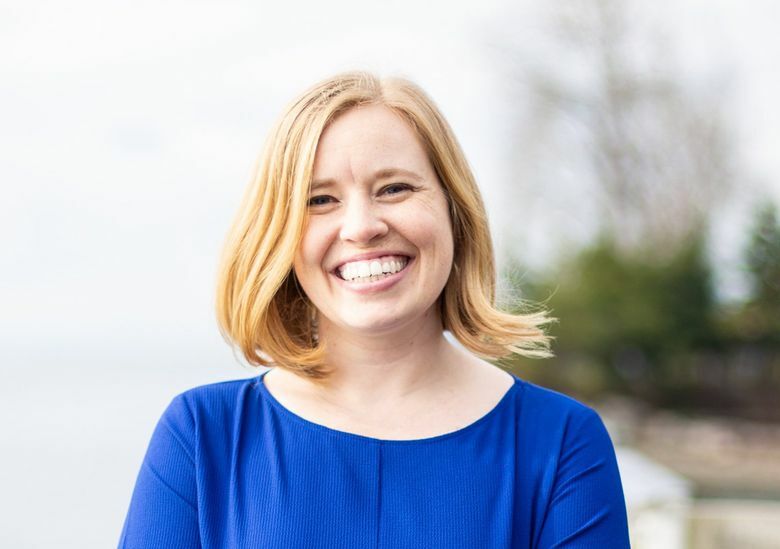 Abigail Doerr, a transit advocate who led the successful campaign for Sound Transit 3 and the unsuccessful campaign for a statewide carbon tax, is running for a seat on the Metropolitan King County Council. Doerr is running for the District 4 seat, covering Northwest Seattle, held by Councilmember Jeanne Kohl-Welles. Kohl-Welles is a first-term council member; she previously served in the state House for two years and the state Senate for 21 years. Doerr, 29, was 3 years old when Kohl-Welles began her legislative career. King County government, with a budget about the same size of the city of Seattle, commands only a fraction of the attention. Four of the County Council’s nine seats — those occupied by Kohl-Welles, Claudia Balducci, Larry Gossett and Joe McDermott — will be at stake this year. She touted herself as a renter and a transit rider who would bring a new viewpoint to the County Council. Kohl-Welles said her “default position” was that she’s running for re-election, but that she was considering and will decide in the next few weeks. Whether she’s running for re-election or not, it’s not too soon for her to push back at her potential opponent. Doerr said she wants to work to find a new funding source for bus service in King County. The Seattle Transportation Benefit District, which funds about $45 million a year of bus service in the city, expires in 2020. Doerr has worked in local politics since 2014, when she managed successful campaigns to boost funding for Seattle Parks and for more bus service in the city. She worked for a year as a legislative assistant to City Councilmember Sally Bagshaw, before joining Transportation Choices Coalition, the region’s leading transit-advocacy group, as advocacy director. In 2016, she led Mass Transit Now, the well-funded business and labor-backed coalition that supported ST3. Last year, she led the failed campaign to pass a statewide carbon tax. Despite raising more than $16 million, supporters of the carbon tax were outspent nearly 2-to-1 by oil and gas companies and lost with 43 percent of the vote. Doerr has hired NWP Consulting, the prominent Seattle political-consulting firm led by Christian Sinderman, to guide her campaign.